Hair Color There are 22 products. 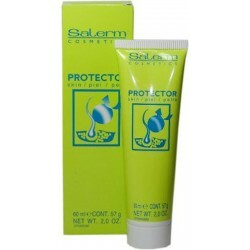 The Salerm Cosmetics Skin Protector solve the problem of dye stains on skin, preventing these stains, from appearing. 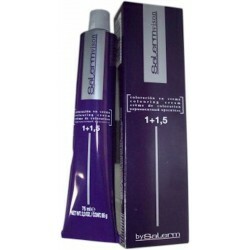 The Salerm Cream Oxidant its oily compounds protect hair shaft throughout entire dying process. Specially formulated. 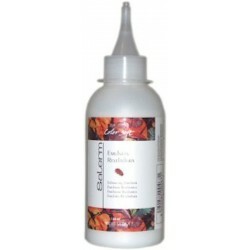 Salerm Sensación Revitalizing Enhancer 1000ml/33.8 Oz. 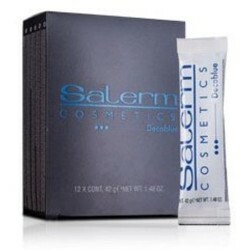 The Salerm Sensación Revitalizing Enhancer result is a transparent gel product that allous complete control of the colour enhancement process (CTR system). 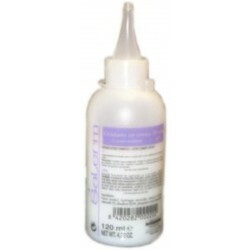 Its pH neutral allows hair to keep its wholesome appearance, remarkably improving its texture and enhancing the shine. 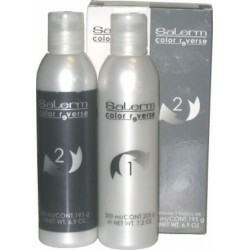 The Salerm Color Reverse removes hair dyes from the hair quickly, safely and effectively. It only removes artificial pigments deposited over the hair, respecting not only the hair's natural color but also its structure. 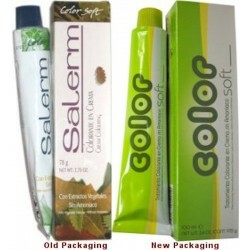 The Salerm Color Soft Enhancing Emulsion specially recommended for low oxidation non-ammonia colorings. Stabilized formula. Perfect coverage of grey hair. 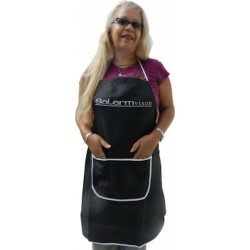 The Salerm Decoblue a powerful lightening tool available to the hair color expert. Maximum lightening in minimum time. The Salerm Decoviolet a step forward in lightening formulas, lightens up to tree tomes in a controlled manner and releases its additional conditioning effect. The Salerm Sensacion Color Rinse is a perfect blend of shine and transparency that includes the most fashionable colour tones. The Salerm Color Soft without ammonia ensures a good coverage of gray hair up to 100% as the same time as caring for the hair, thanks to the extracts of sage and rosemary. 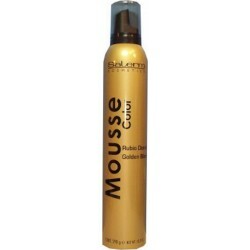 Salerm Mousse Color Golden Blond 300ml / 10.2 Oz. The Salerm Mousse Color Golden Blond gives hold and color tone to a style. it conserve your hair's colors. Purifies, revitalizes and preserves natural as well as dyed color. Salerm Mousse Color Light Blond 300ml / 10.2 Oz. The Salerm Mousse Color Light Blond gives hold and color tone to a style. it conserve your hair's colors. Purifies, revitalizes and preserves natural as well as dyed color. 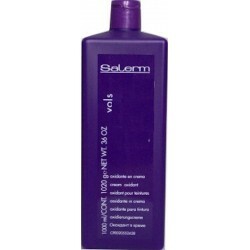 Salerm Mousse Color Mahogany 300ml / 10.2 Oz. 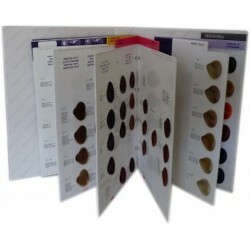 The Salerm Mousse Color Mahogany gives hold and color tone to a style. it conserve your hair's colors. Purifies, revitalizes and preserves natural as well as dyed color. 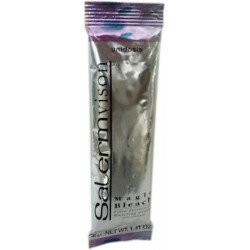 Salerm Mousse Color Platinum 300ml / 10.2 Oz. 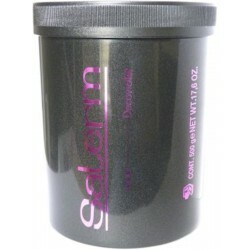 The Salerm Mousse Color Platinum gives hold and color tone to a style. it conserve your hair's colors. Purifies, revitalizes and preserves natural as well as dyed color. 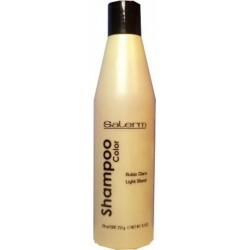 Salerm Shampoo Color Light Blond 250 ml / 9.0 Oz. 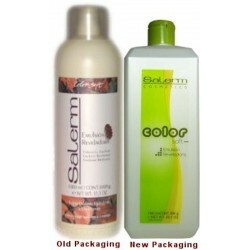 The Salerm Shampoo Color Light Blond cleans, revitalises and intensifes the hair's color. 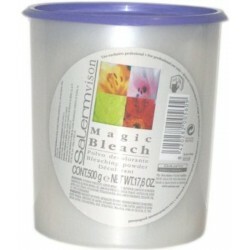 The Salermvision Magic bleach is a hair lightening product based on a prgressive effect that provides perferct results, giving hair a more uniform coverage.